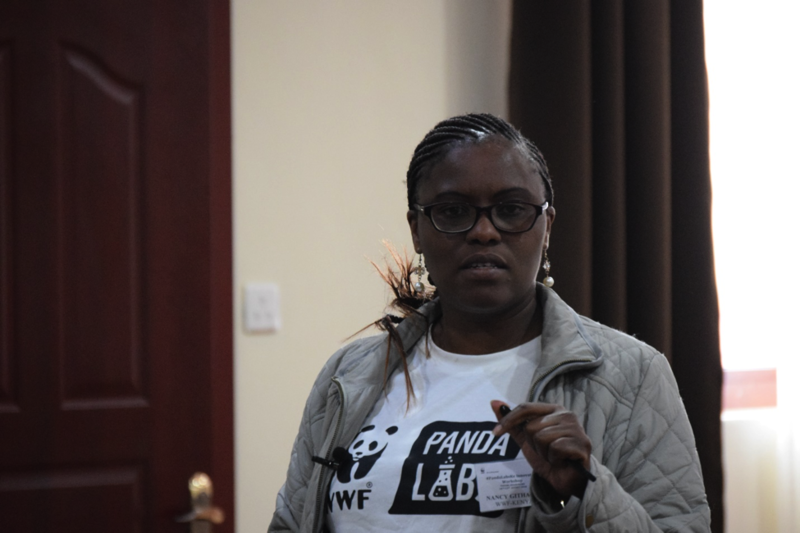 WWF-Kenya in collaboration with Impact Hub is stepping up its Innovation Program following the launch of a platform dubbed PandaLabs Kenya. WWF-Kenya in collaboration with Impact Hub is stepping up its Innovation Program following the launch of a platform dubbed PandaLabs Kenya. PandaLabs is WWF’s decentralized innovation accelerator, supporting innovative, new tech and commercial based solutions to the Sustainable Development Goals. The main idea of the platform is to turn conservation problems into opportunities and find innovations to these challenges that can create impactful and catalytic change. Through a call for innovations, individuals from diverse sectors and disciplines submitted their considered ideas/solutions to today’s environmental challenges as part of the Conservation Innovation Challenge. An internal committee evaluated the submissions and 25 individuals were selected to the inaugural group of PandaLab Cohort 1 that was held in the month of August 2018. WWF-Kenya’s role in terms of support will be to facilitate, convene, engage and be a principal organizer in environmental innovations. For the first cohort, six teams from the workshop participants will be supported after a selection procedure, in which the submitted pre-project proposals will be assessed in terms of the problem, feasibility of the idea, the level of impact and the incorporation of major stakeholders.